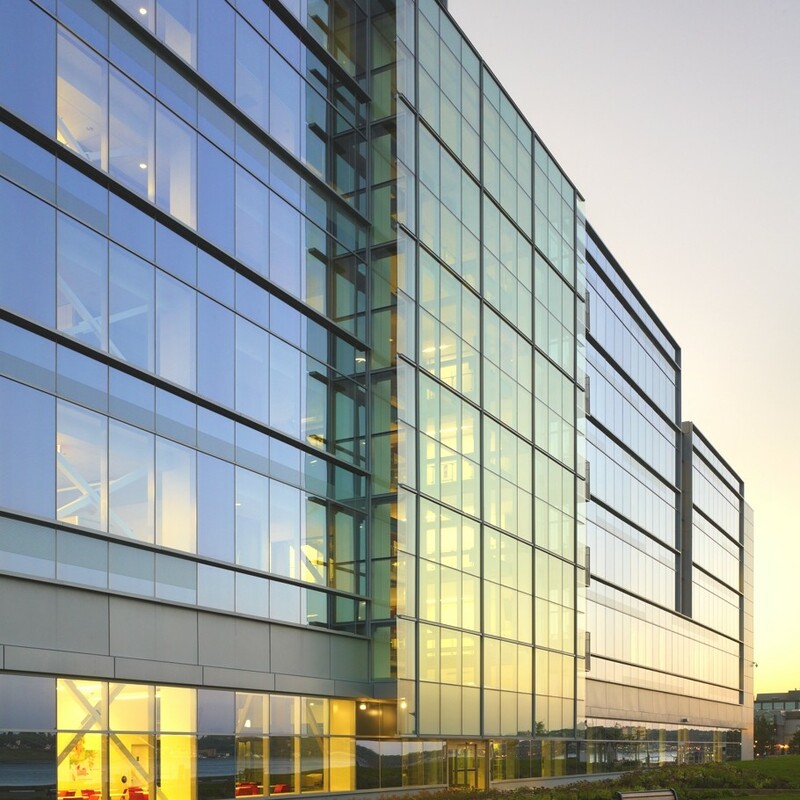 Ontario-based architectural practice, WMZH Architects, have designed the Nova Scotia Power Corporate Headquarters project. 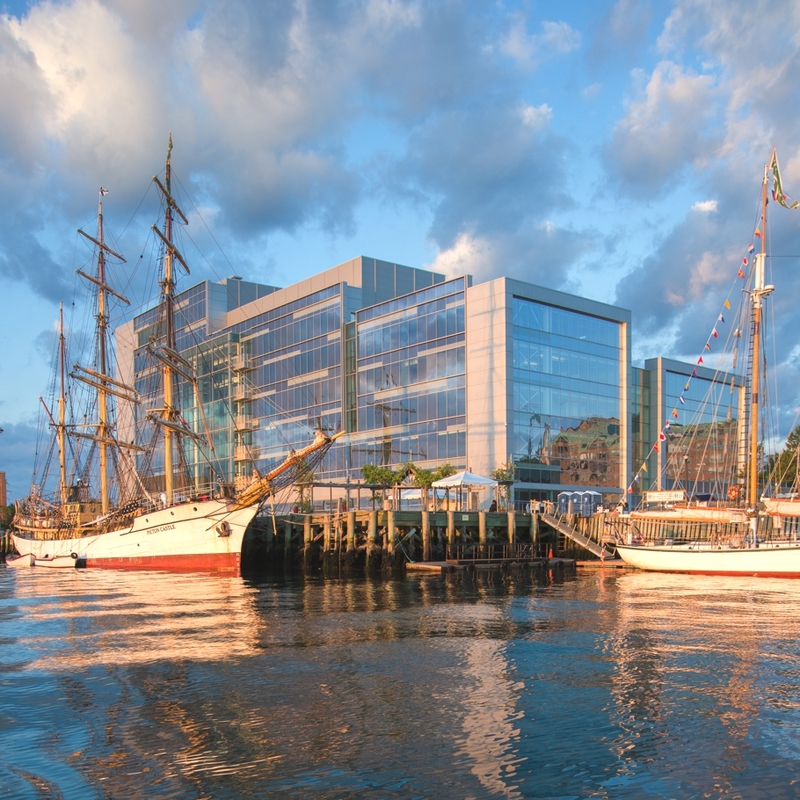 Completed in 2012, the construction cost $46 million and the building can be found in Halifax, Nova Scotia, Canada. The project is located on a 5-acre site at the southern end of the Halifax downtown waterfront with access from Lower Water Street. 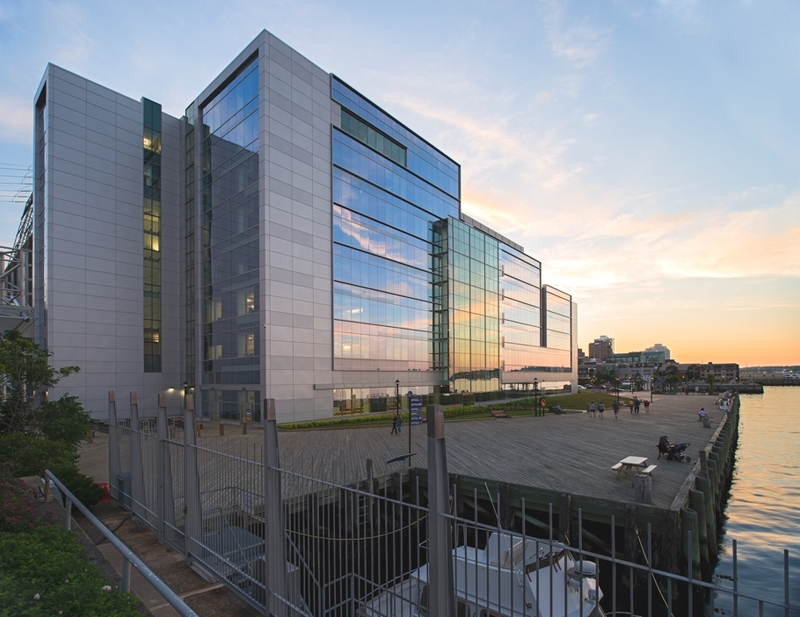 The site steps down approximately 7.5m from Lower Water Street to the harbour, east of the site. To the south there has been significant redevelopment of some of existing harbour buildings including the NASCAT, and Pier 21. To the north and west vacant lots exist that will be subject to future development. 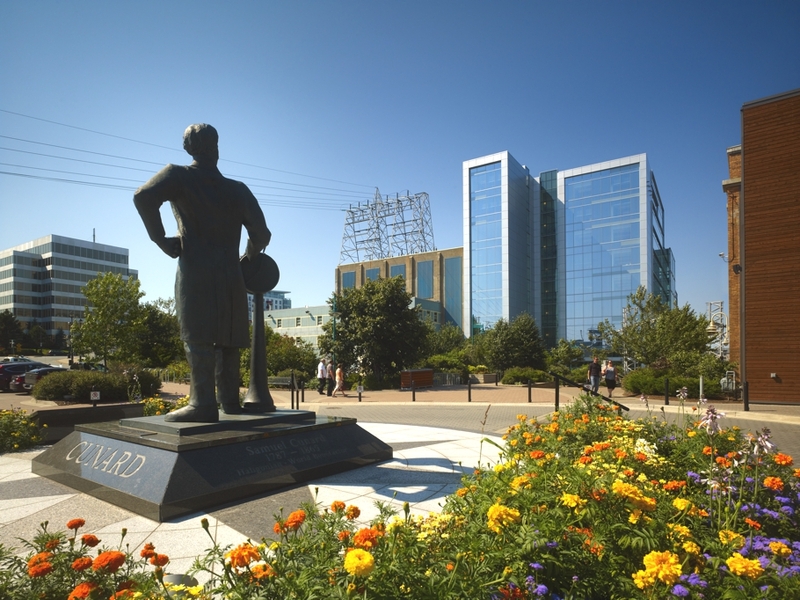 An existing decommissioned power plant occupied the majority of the site; the Water Street Coal Fired Generating Station began with the installation of its first generator in 1911. Construction of the current building took place progressively with a series of modules beginning with the northerly most one in 1944 and finishing at the south end of the site in 1959. The plant operated from 1944 to 1986 and was finally decommissioned in 1999. The original building was comprised of a concrete clad steel structure that enclosed several high volume spaces that originally housed equipment for generating electricity. The site contains a substation with switchgear and transformers that serve downtown Halifax. A tower supports transmission lines that feed the substation. 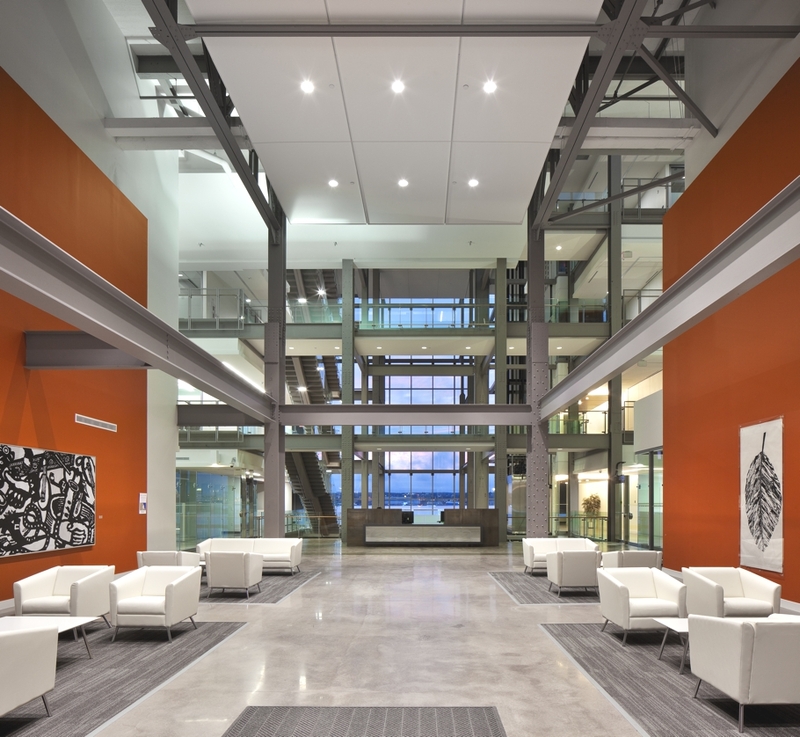 The project involved the retention and adaptive reuse of the former generating plant to become the headquarters for the provincial electrical utility, Nova Scotia Power Inc. (NSPI). The facility houses over 500 staff in approximately 18,000 gross m2 and provides onsite parking for 150 cars. From an entry court on Lower Water Street, visitors cross a bridge to the main entrance and lobby of the building. There are three public entries from the boardwalk level. Early visits to the site were inspirational: soaring interior spaces with an exposed latticework of steel framework were reminiscent of the imagery of Russian Deconstructivism design. Investigation of archival photos of the site uncovered the image of a line of 4 chimney stacks. The design retains a memory of, and celebrates, the original structure. 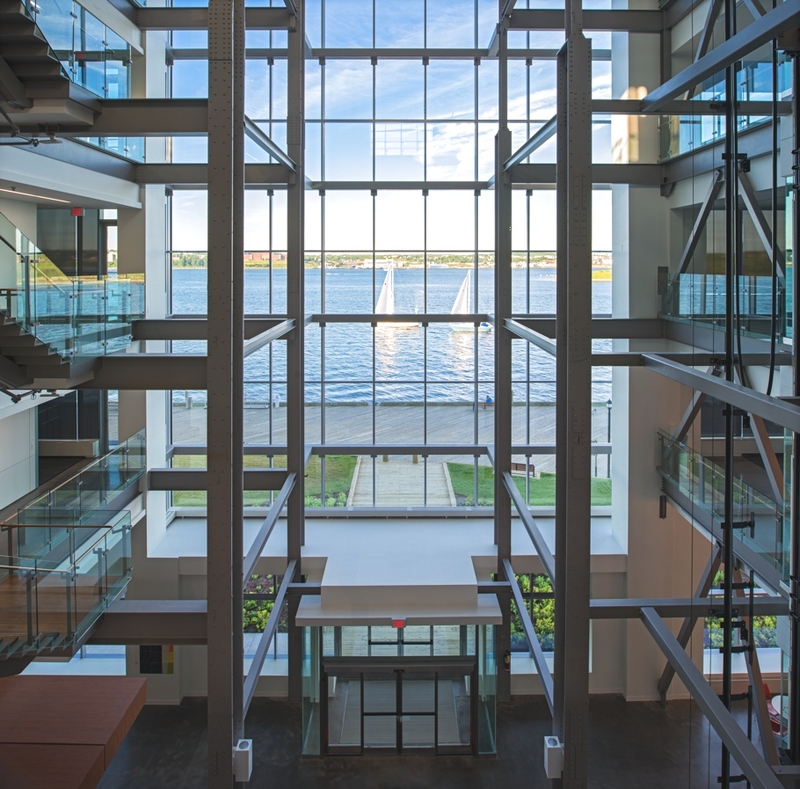 The free-standing structure in the Atrium frames interesting views to the waterfront. 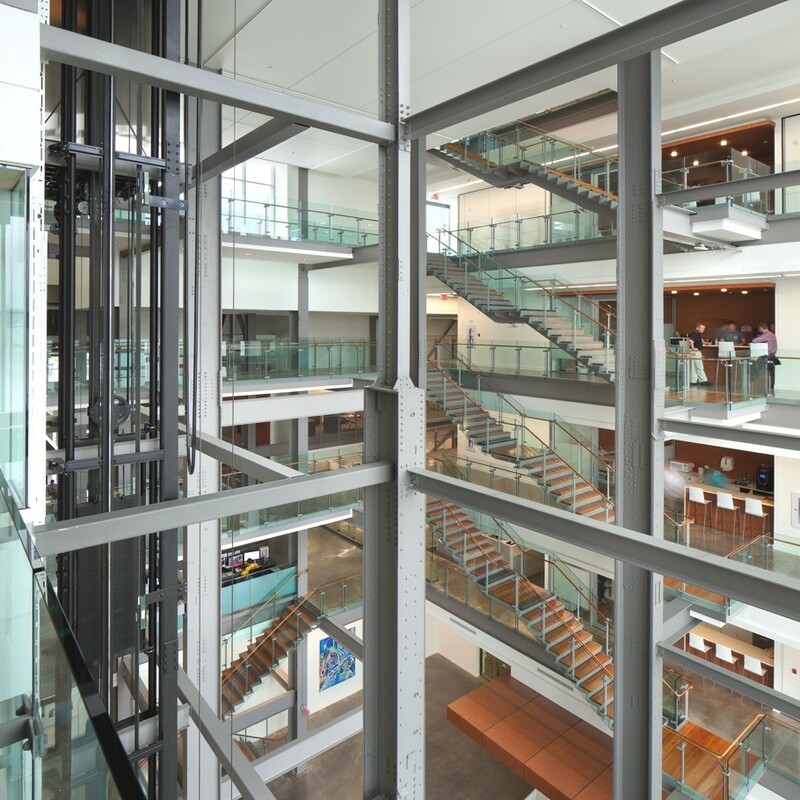 Transparent stairs and bridges that thread their way through the structure provide connectivity within the building. The memory of the chimneys is recalled in the Galleria – their bases becoming skylights. Interior finishes recall an industrial aesthetic – the polished concrete floor in the atrium and expanded metal mesh on the balustrades. On the exterior, the new envelope is expressed as a layer applied, and floating out from the original volume. The decommissioned power plant was a barrier to the waterfront. Over 36m in height, the large concrete mass with no openings prevented any visual connection between the City to the west and the waterfront between Morris Street and Marginal Road. 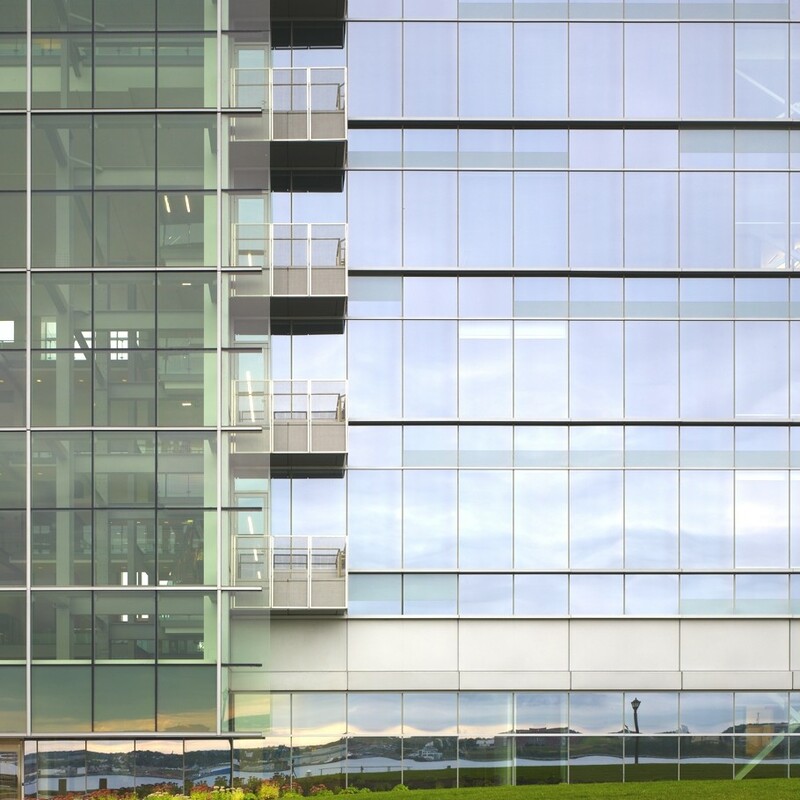 A large transparent volume carved through the mass of the existing building, the Atrium, forms not only the main entrance to the building on Lower Water Street, but provides a visual link through the building so that the water is visible from the street. The building and site design reinforce the visual and pedestrian connections from city streets to the water. A portion of the original structure at the north was demolished to allow a connection from Morris Street to the harbour. On the south the beginning of the boardwalk is reinforced at the termination of a view and pedestrian corridor from Perimeter Road. As the provincial power authority, NSPI wishes to demonstrate environmental responsibility and show leadership in energy conservation. 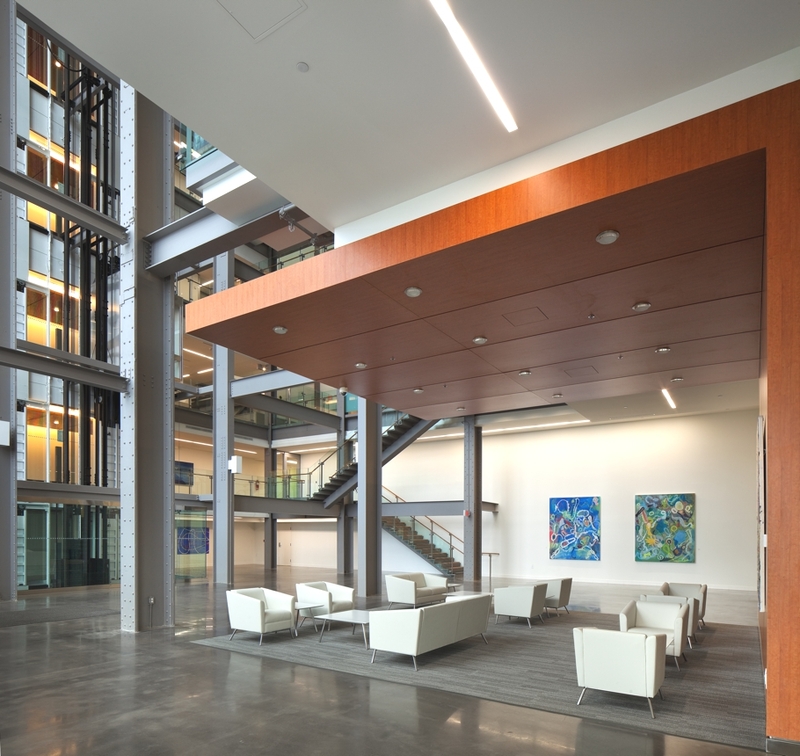 The unique adaptive reuse of the building is a visible statement of the corporation’s commitment to sustainability. The building was recently awarded LEED Platinum certification – the first building in Atlantic Canada to receive the designation. Sea water cooling (and heating) is being provided utilizing existing piping from the Halifax harbour originally used to cool power generating turbines. 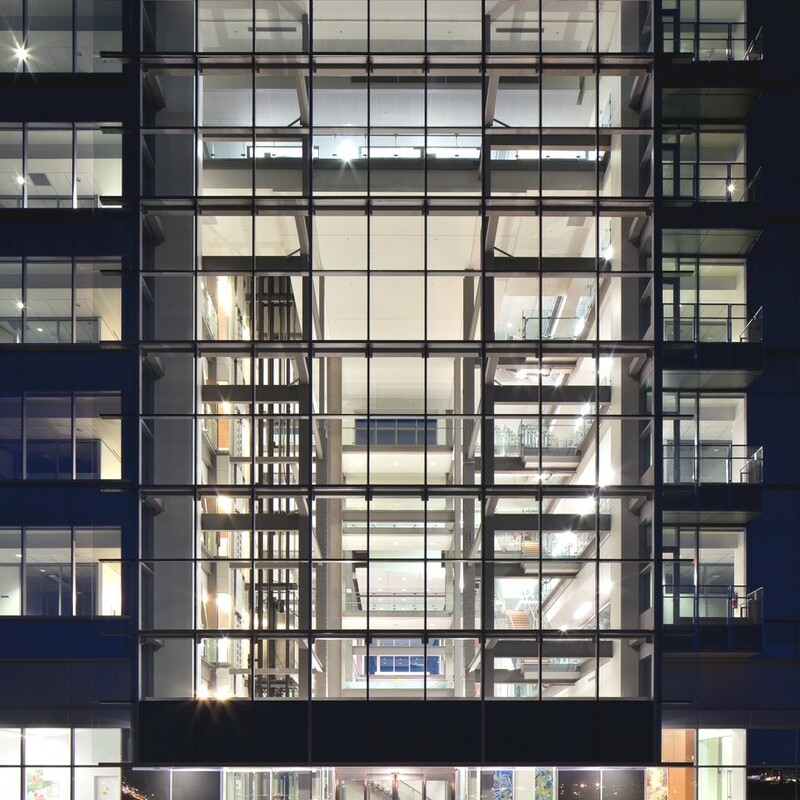 The building represents the first major use of “chilled beam” technology in Canada. Located within the ceiling space, the system, more efficient than conventional systems, utilizes (low energy sea) water rather than air to transport cooling thereby lowering energy consumption. 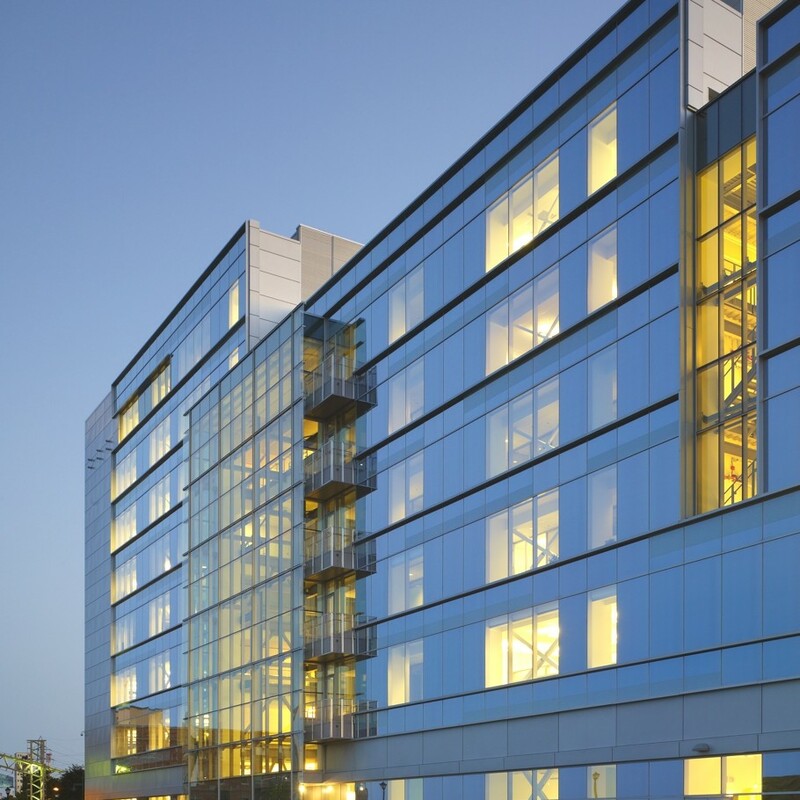 Additional energy saving strategies include the provision of heat recovery on HVAC, daylight and occupancy sensors for lighting and supplemental heating for both the building and hot water with the use of solar thermal panels. The “reskinning’ of the existing building shell result in an energy efficient tight building envelope that minimizes energy loss/gain at the building perimeter. Most of the demolition residue was reused: steel was recycled off site, and the concrete rubble that was saw cut to make window openings was used as fill to adjust site grades west of the building. International design studio CMV Architects have completed the Villa London project. 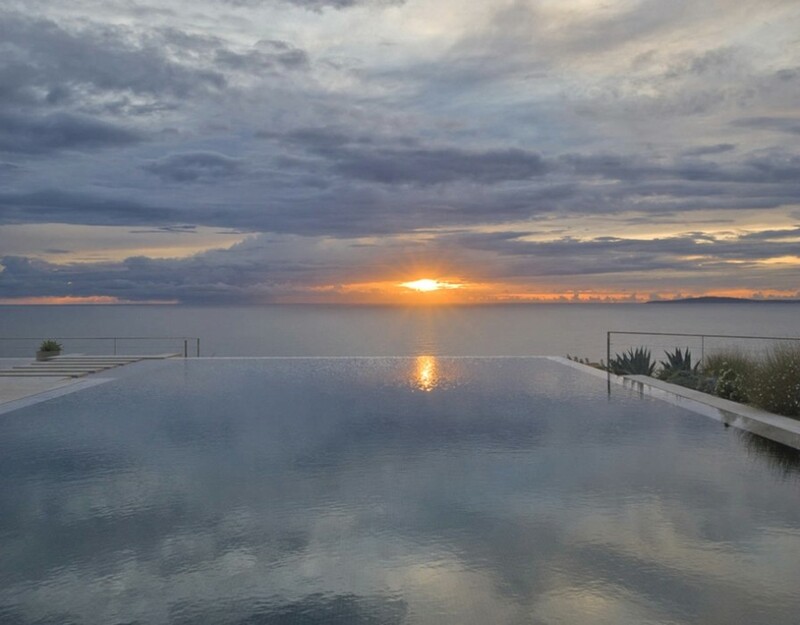 Completed in 2004, this contemporary property can be found in Llucmajor, Mallorca, Balearic Islands.